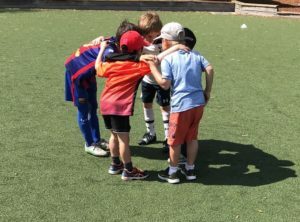 The Melbourne Sports Institute facilitate after school and lunchtime sports programs throughout the School term as well Holiday Programs over each holiday period. Each of our locations has a designated coach to become familiar with the students which promotes growth and understanding. Joining our programs is a great way to keep students involved in activity outside of School hours. Participants develop their motor skills, make friends and gain self-confidence. Our program has been developed with enjoyment, skill and personal development of the student in mind. Soccer, Basketball & Football participants receive a free ball to keep! Choose your desired program and book in from the options below!